This project shows how FlexibleSpace and a Creative Office should look! 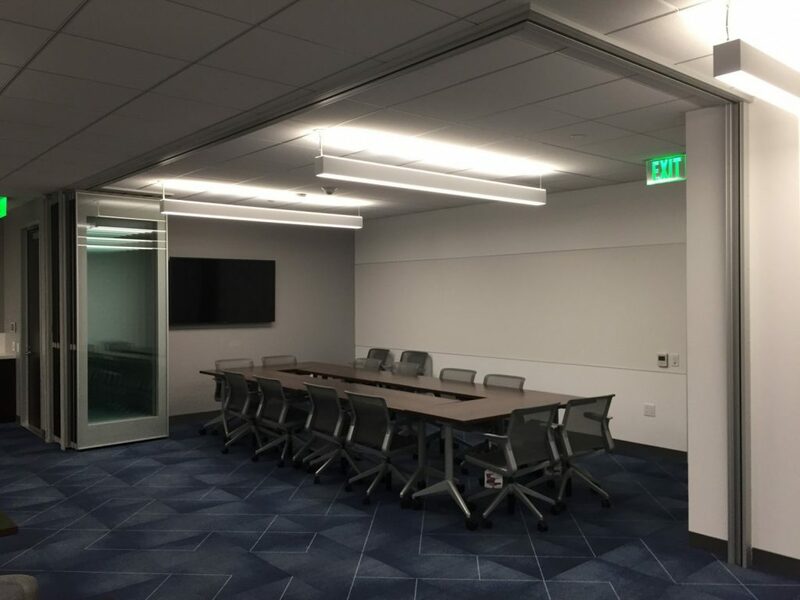 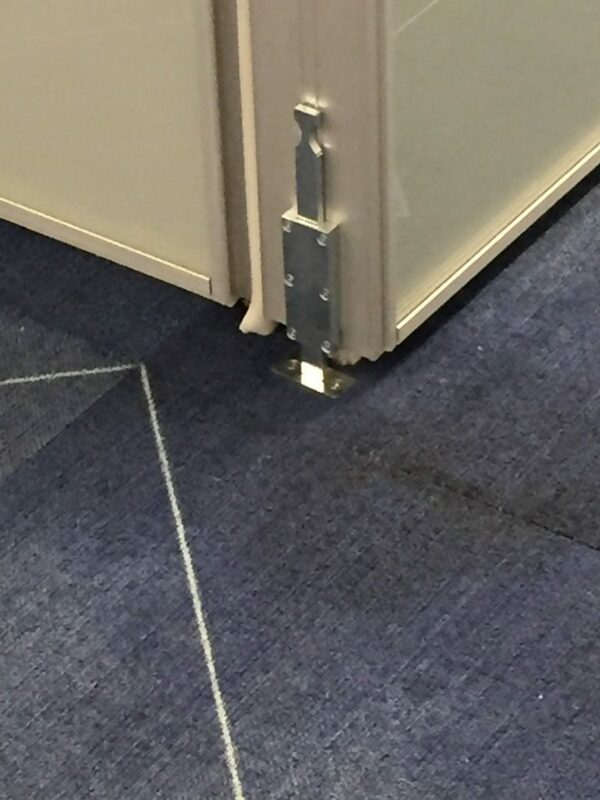 This conference room shows up when they need it at this shared meeting room for the building. 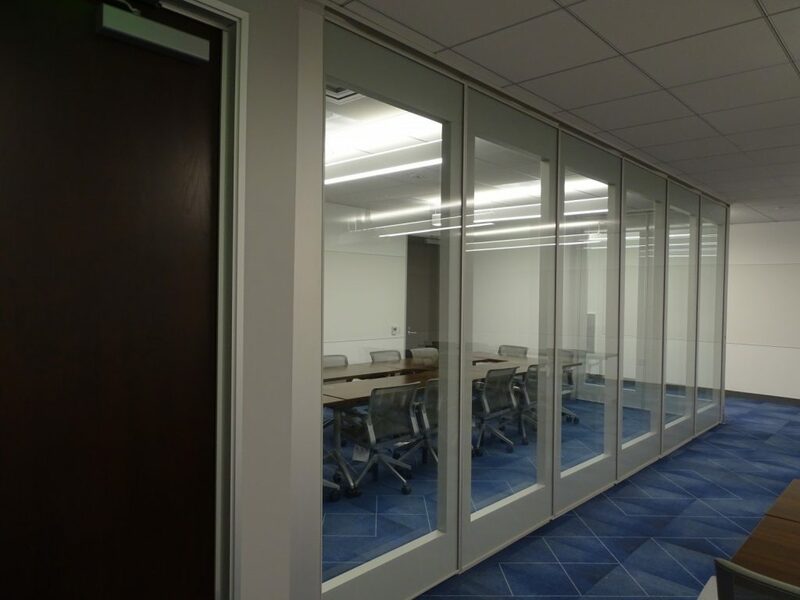 Wolcott Interior Design provided some great finishes in what was once a drab office space. 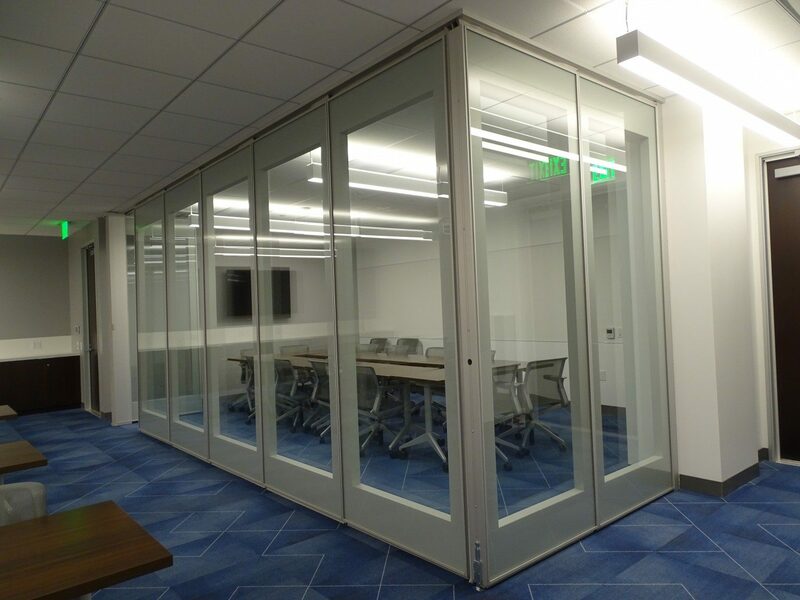 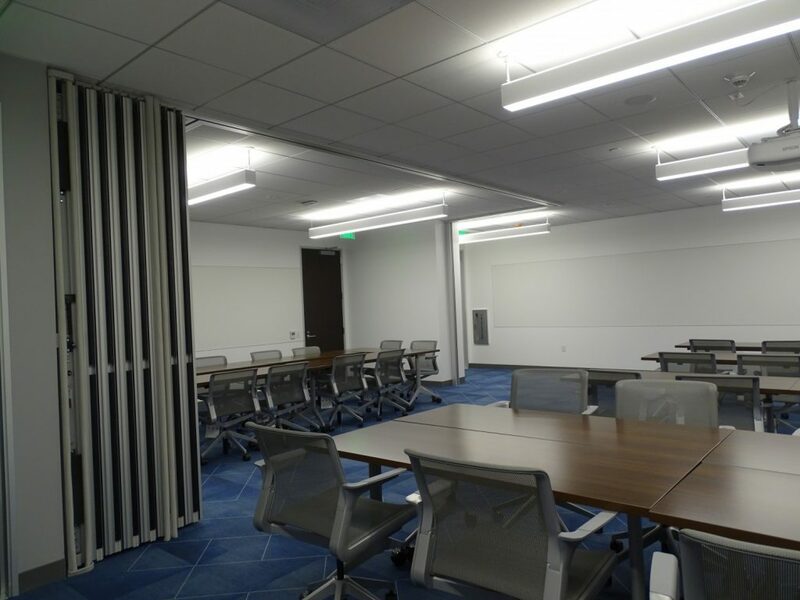 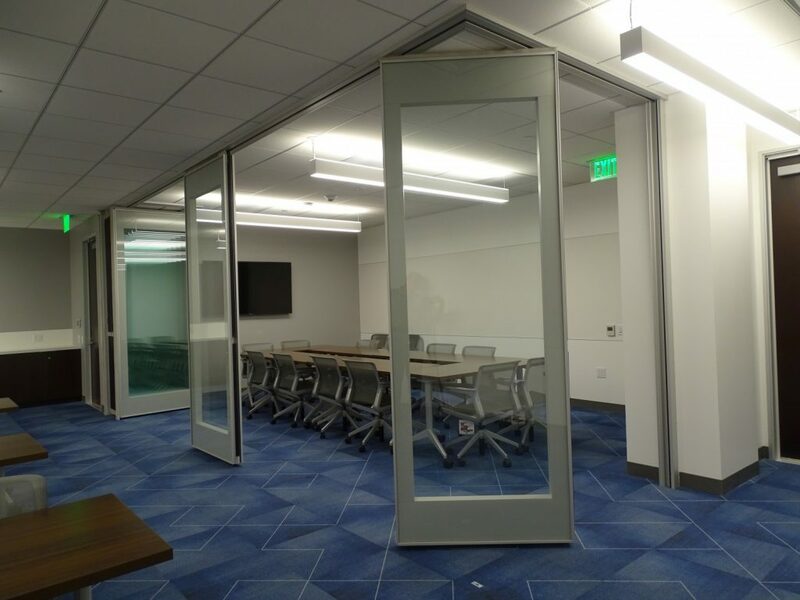 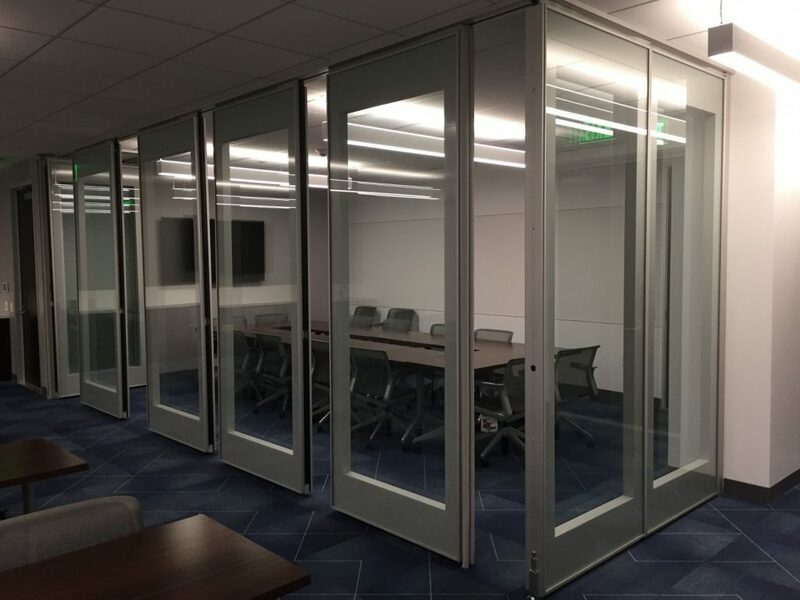 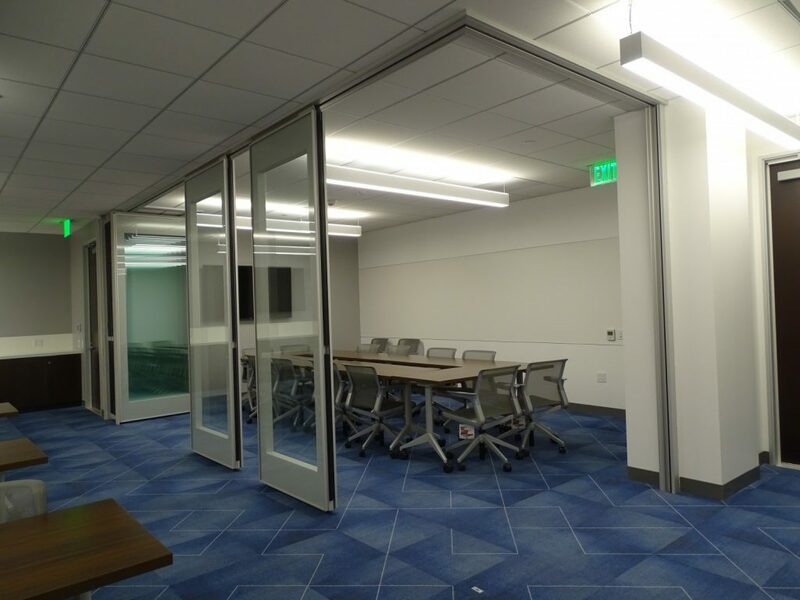 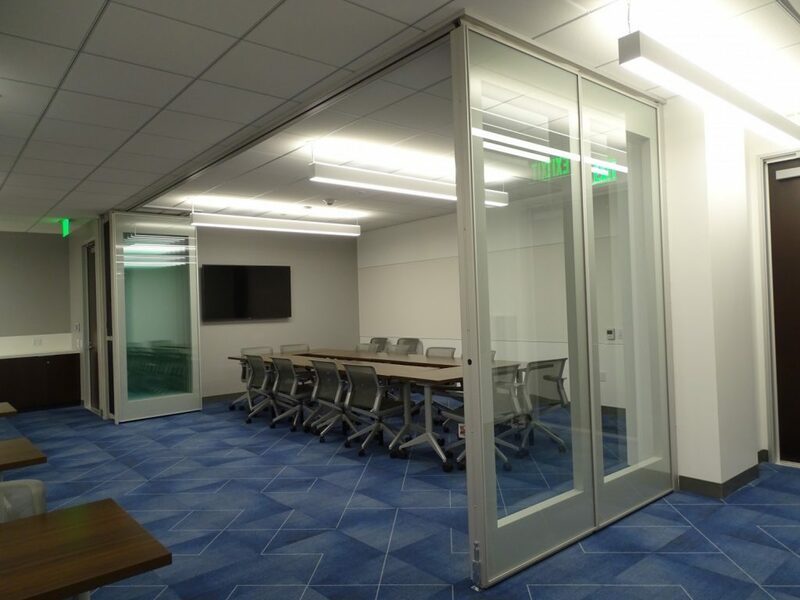 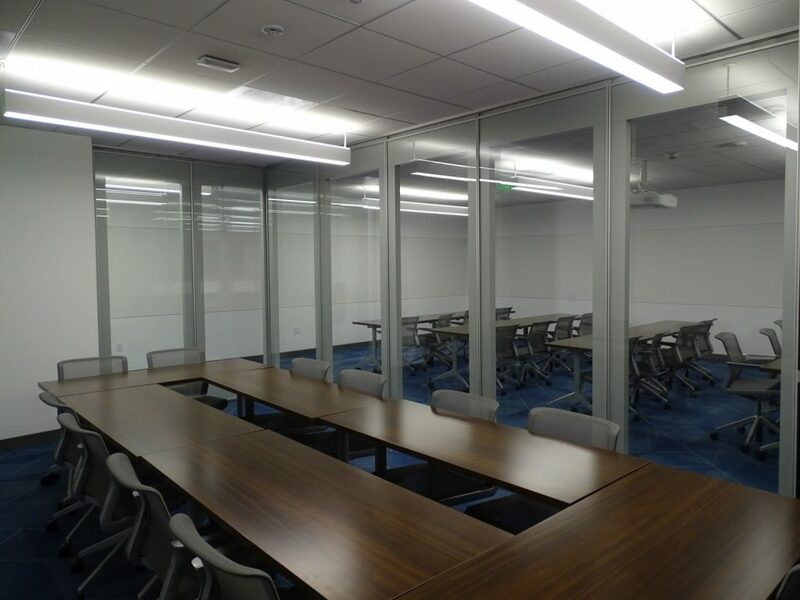 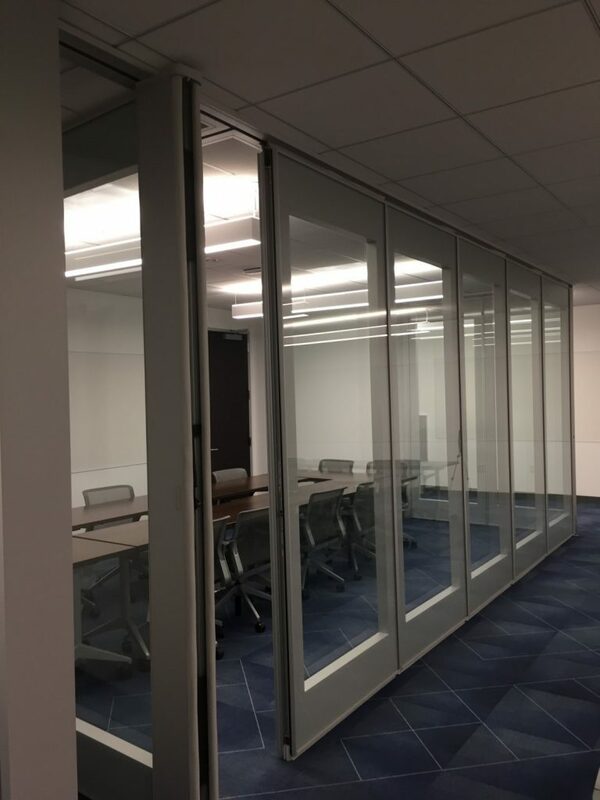 L2 Specialties provided structural supports and 44 STC Moderco Crystal operable partitions. 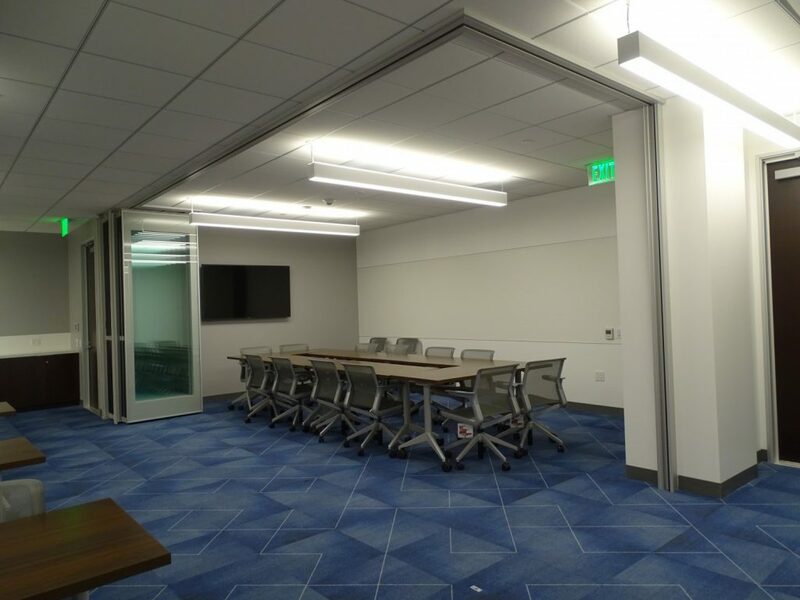 Our GC, Stanhope brought together a beautiful project.